The personality of moms encapsulated in a baked treat. It’s been an unbelievable 11 years now since my Mom passed away. I still think about her nearly every day, too. I’m sure all daughters brag about their mother being incredibly kind, thoughtful and gracious. But mine definitely was. Still, there were moments that she offered up an opinion that I could have done without at the time, but now leaves me in stitches in hindsight. When I was a teenager, I once came slinking into the kitchen, feeling thoroughly self-conscious after looking in the mirror that morning, only to have my Mom proclaim loudly, “You know you have a big pimple THERE.” Uh, yes, I do know, Mom. Thanks A LOT, A WHOLE LOT. There was the time in my 20s when I came home for a visit, and the first thing my Mom said was, “Those pants make you look fat.” Oh, great. She may have been blunt, as only an Asian mom can be. But darned if she wasn’t right in every one of those cases — and so many more. 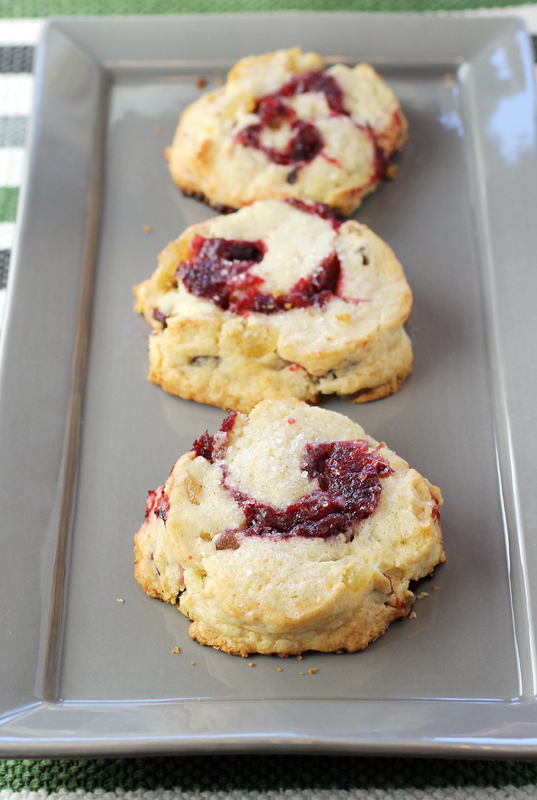 If she were still here this Mother’s Day, I would bake her these “Cranberry Roly Poly” treats. Because she always loved to see the joy I got from cooking and baking. Because cranberries offer up both sweetness and tartness. Because every mother-daughter relationship has moments of both those extremes. And because if you’re lucky, as I was, they will balance each other out in the end, leaving you both with an honest and respectful love. These spiral-rolled, scone-like buttery baked goods are by Roxana Jullapat, pastry chef and co-owner of Friends & Family bakery and cafe in Los Angeles. The recipe is from the new “The L.A. Cookbook” (Rizzoli) by food and lifestyle writer Alison Clare Steingold, of which I received a review copy. 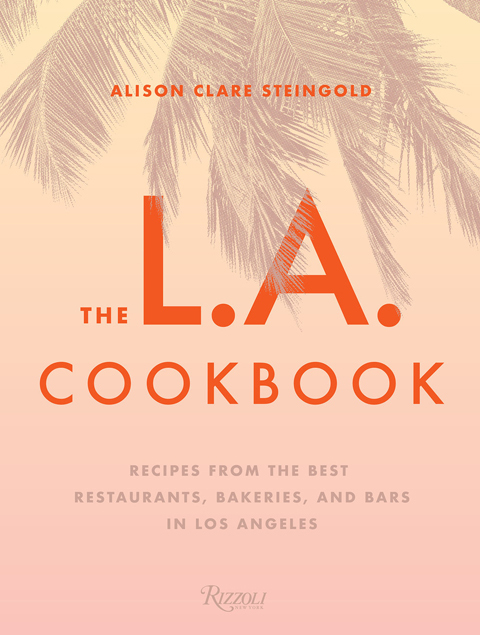 For anyone who loves Los Angeles — or better yet, eating in Los Angeles — this book is for you. There are more than 100 recipes from some of the best restaurants, bars and bakeries in the city that has one of the most exciting food scenes of late. The roly poly starts with making a home-made cranberry jam, which just involves cooking cranberries with sugar syrup and a vanilla bean until they start to break down, exuding pectin that will thicken the mixture. 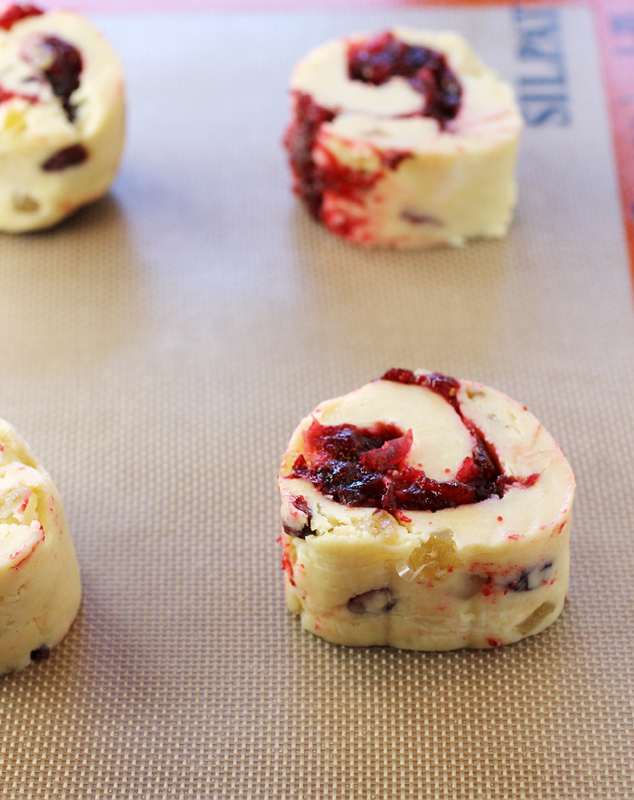 The dough gets extra flavor with the additions of dried cranberries and candied ginger pieces. 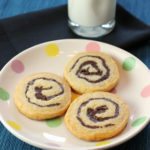 It’s rolled out into a rectangle, the jam is smeared on, and the whole shebang is rolled up jelly-roll-style, before being cut into thick slices to bake. You’ll want to make sure the slices are tightly rolled even after cutting or else they may start to open up during baking. If that happens, just use a butter knife to nudge everything back in place, and continue baking. Spread the jam on the rolled-out dough. 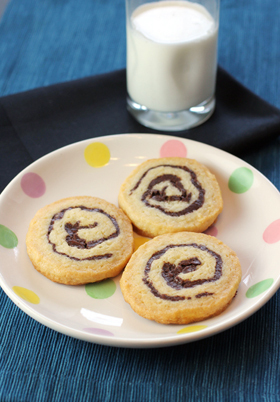 Roll up tightly and cut into pinwheels. You’ll also probably end up with a little leftover jam. It’s wonderful spread on toast, stirred into yogurt or a bowl of oatmeal or even accompanying a wedge of cheese. 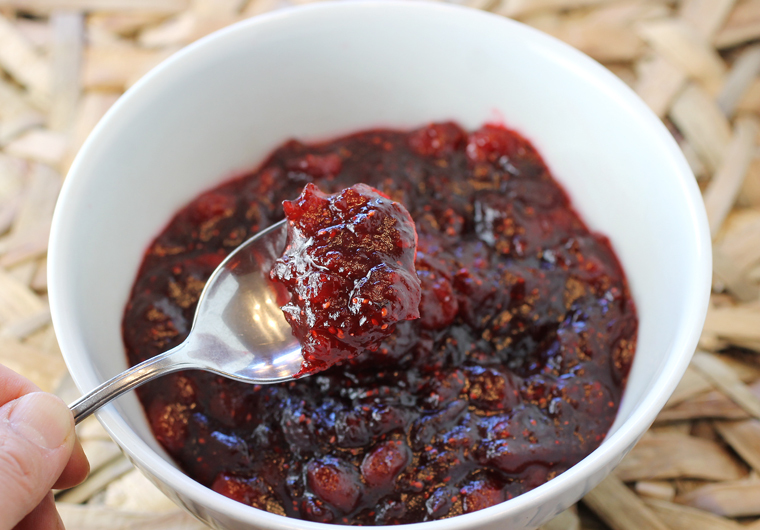 The vanilla bean really makes this jam special, adding a floral roundness to the pert fruitiness of the cranberries. The roly polys bake up with a crisp exterior that gives way to a soft, slightly crumbly interior. They are super buttery. You get the delightful taste of jammy cranberries and the sweet-heat of ginger in every bite. 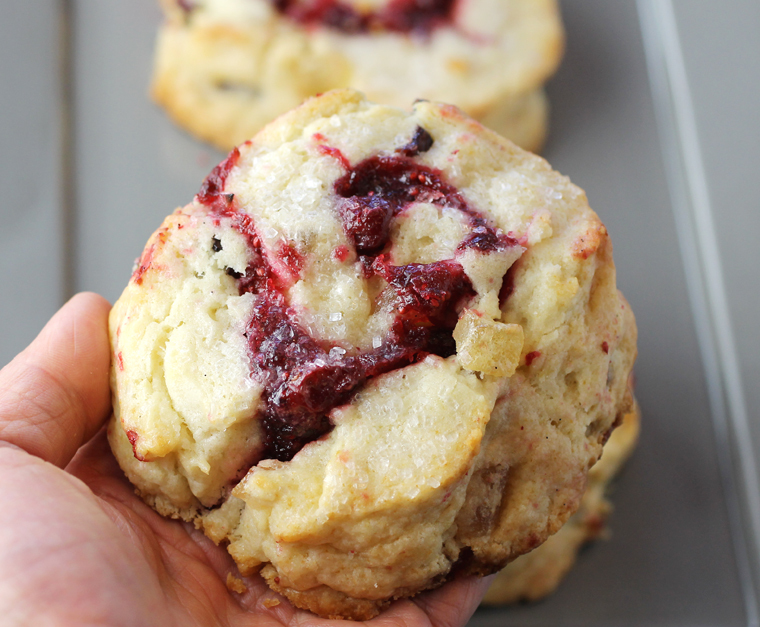 Indeed, it’s the double-whammy of dried cranberries plus cranberry jam plus candied ginger that takes these way beyond the realm of your usual scones. They’re perfect for breakfast or brunch or even as dessert with vanilla ice cream or softly whipped cream. They are truly extra special — exactly what’s called for on a holiday when you want to salute and remember mom. Sweet, tart, fruity and with a little throaty gingery heat. To make the cranberry jam: In a heavy-bottomed pot, combine the sugar and water, but do not stir. Using a paring knife, split the vanilla bean lengthwise, scrape out the seeds and pulp, and stir both the seeds and scraped bean into the pot. Bring to a boil over high heat and cook till the mixture turns translucent — this won’t take more than a few minutes — then lower the heat to medium-low. The syrup will reduce, taking on a golden color as it thickens. Carefully stir the cranberries into the hot syrup, and cook till it reaches a jammy consistency, stirring consistently with a wooden spoon. You’ll hear the cranberries pop, so don’t put your face near the pot. After about 2 minutes, the jam will foam up and take on the fruit’s color. Keep stirring for 5 to 7 minutes more as it thickens. To test the jam: Spoon a bit of jam onto a cold plate or glass dish and brush it with your finger. If your finger leaves a trace, the jam is ready. If not, cook for a bit longer and test again. To make the dough: In a bowl, combine the flour, sugar and baking powder. Toss in the butter. Using a pastry cutter or your fingertips, and working quickly, break up the butter into dime-size pieces. Add the candied ginger and dried cranberries. Using your hands, mix gently until just combined. Make a well in the center. Pour in the cream. Gently knead until the dough comes together. Line a clean work surface with a rectangle of plastic wrap, about 12 inches long by 14 inches wide. Transfer the dough to the plastic wrap. Using a rolling pin, flatten the dough into a rectangle about 8 1/2 inches long by 12 inches wide. If the dough is sticky, dust the rolling pin lightly with flour. 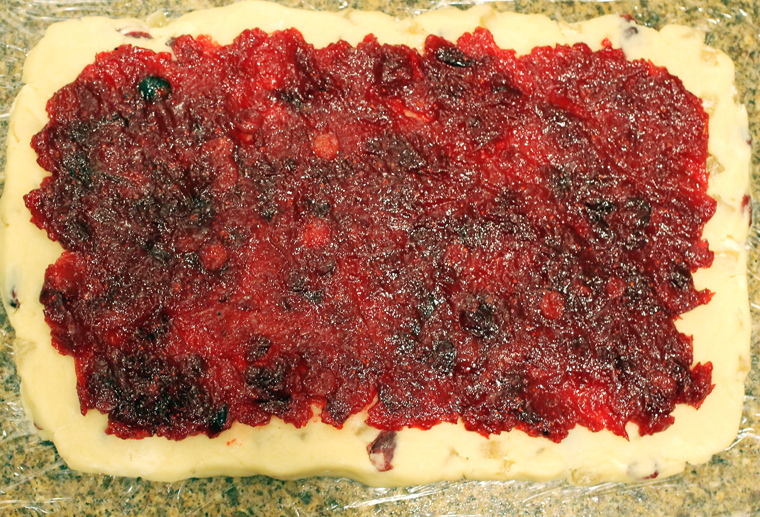 Using a spatula, spread 1 cup of the cranberry jam on top of the dough, leaving a 1/2-inch border around the edges. 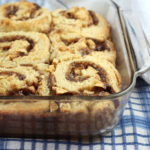 To roll, lift the bottom end of the plastic wrap and lightly roll the jam-covered dough into a log away from you, like a jelly roll. Wrap the rolled log tightly in plastic. Chill in the freezer for 1 to 2 hours until firm but not completely frozen (this will help with slicing). To bake the roll: Preheat oven to 350 degrees. Line two baking sheets with parchment paper. Lightly coat the parchment paper with nonstick spray. Unwrap the log. Using a sharp chef’s knife, slice it crosswise into 8 pinwheels, about 1 1/2 inches thick. Thicker slices, once baked, will more resemble a scone; thinner, a cookie. Place four pinwheels on each prepared baking sheet, at least 2 inches apart. Using a pastry brush, paint each pinwheel with the remaining cream, and sprinkle with the crystal sugar. Bake for 20 to 28 minutes, until golden brown. For the first 10 minutes, the dough will stay mostly flat, as if baking a sugar cookies, before puffing up. By 15 minutes, light cracks and the very beginnings of color should start to show. Let cool completely on the baking sheets before serving. It’s also been 11 years since my mom has passed and at restaurants, I still try to guess what she would have ordered…. what an imprint our moms make on us! 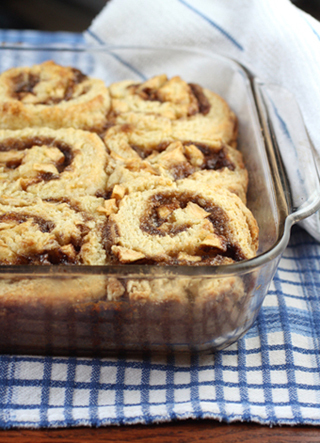 This looks delicious – I think I need to improve my baking game a little so I can make these! This looks absolutely delicious. I’m saving this to try. Your mom sounds like a page from “Joy Luck Club.” LOL These rolls look delicious that any mom or dad would enjoy!